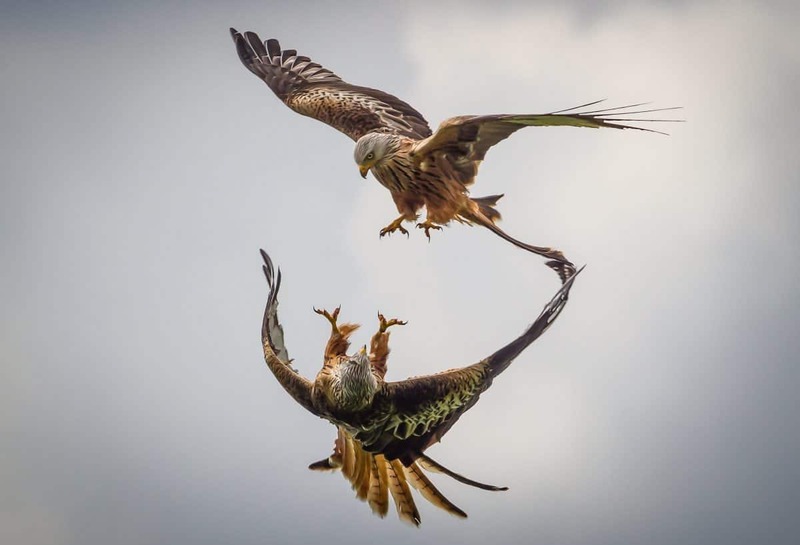 These breathtaking photos show two red kites going head-to-head in a mid-air tussle. The birds of prey were captured more than 50 ft in the air as they squabbled over their next meal. 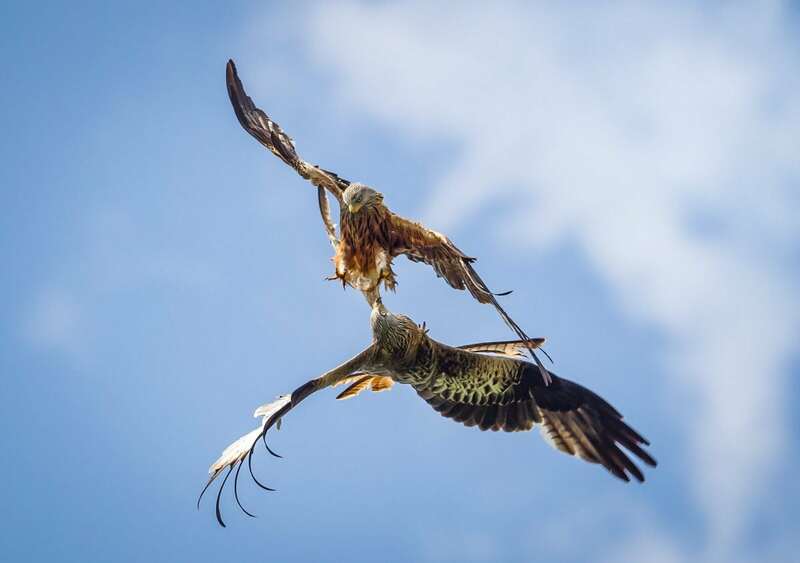 The pair swooped through the skies over Dumfries, Scotland, fighting each other for the piece of food. Wildlife photographer Nigel Robinson captured the moment while on holiday with his family. Nigel, 58, said: “One of the kites had got a piece of food and they were playing around. “I was on holiday with my wife and my granddaughter in Scotland and I had just popped to get a sandwich. The grandfather of three, from Newbiggin-by-the-Sea, Northumberland works as a project manager for the Cooperative but loves taking pictures of nature. Nigel said: “Taking wildlife photos is becoming a bit of an obsession and it’s taking over my life. “I absolutely love it. I bought a motor home for it, I go out most weeks. 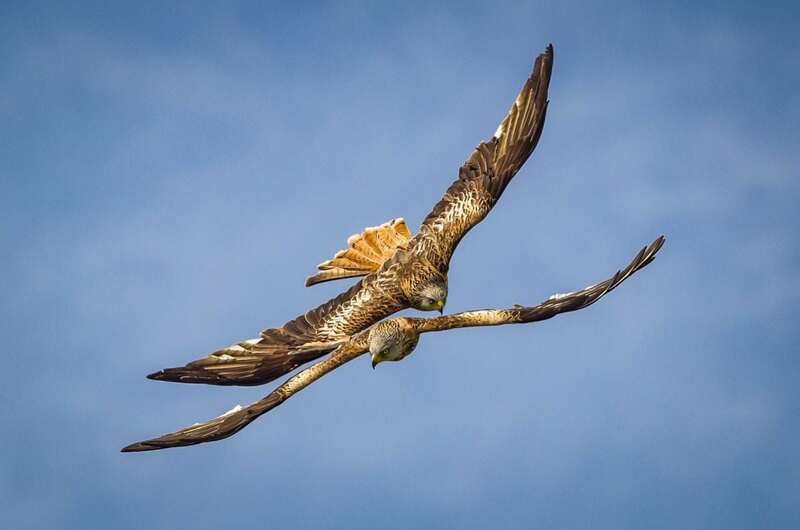 For more than 400 years, these stunning red kites were considered vermin but have now bounced back from extinction. The persecuted birds were reintroduced into the wild after one of the world’s longest running protection programmes. 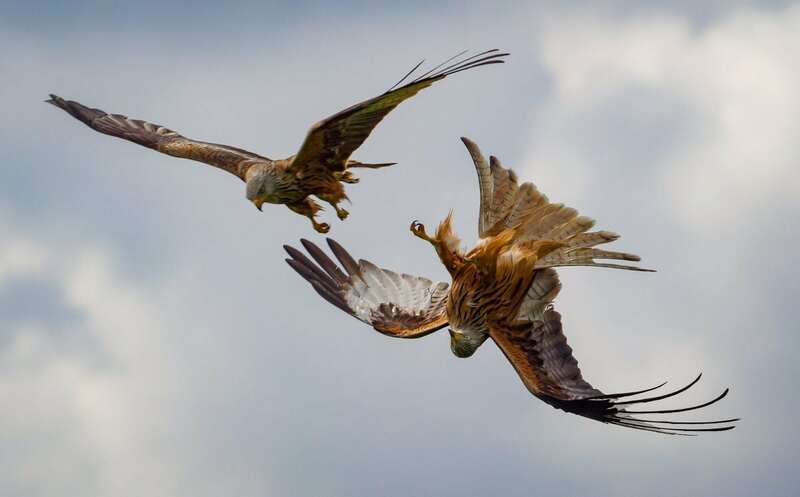 Scottish release sites of Kites include Dumfries and Galloway, Stirling-shire and west Perthshire, around Black Isle in Ross-shire.